The Aransas Project is based in Rockport, Texas and we operate as a virtual organization. We are proud to have representatives throughout Texas. Dr. Ron Outen is the Regional Director of The Aransas Project and environmental attorney Jim Blackburn serves as legal counsel. James B. Blackburn, Jr., the Attorney for The Aransas Project, has long been an advocate for the Texas Gulf Coast and responsible water management. Blackburn currently practices Environmental Law and Environmental Planning at Blackburn & Carter in Houston, Texas and is also a Professor In the Practice of Environmental Law in the Department of Civil and Environmental Engineering at Rice University. Blackburn heads the Minor in Energy and Water Sustainability in the School of Engineering at Rice and has developed courses in sustainability, including “Sustainable Design” and “Sustainability Metrics: Target Houston.” In addition to his teaching projects, Blackburn is working in conjunction with various non-profit groups and government entities to develop a research program at the SSPEED Center at Rice involving coastal development post Hurricane Ike (2008). Blackburn was awarded the Barbara C. Jordan Community Advocate Award by Texas Southern University in 2007 for his “unwavering commitment to protecting our environment and the health of Texans throughout the Gulf Coast region” and in 1998 was the recipient of the Bob Eckhart Lifetime Achievement Award for Coastal Preservation Efforts from the General Land Office of the State of Texas. Blackburn is also an accomplished author, including The Book of Texas Bays (2004), and Birds, A Collection of Verse and Vision (2009). Blackburn holds a Juris Doctorate from the University of Texas School of Law and a Master’s in Environmental Science from Rice University. 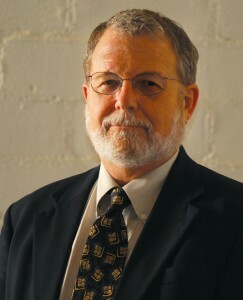 Ronald B. Outen, Ph.D. is a Regional Director for The Aransas Project. Dr. Outen is the chairman of the Aransas County Navigation District, a position he has held since 2007, and a widely respected expert on environmental quality. 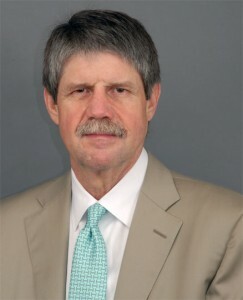 Dr. Outen has over thirty years experience serving the public and private sectors, as the Director of the Project on Clean Water for the Natural Resources Defense Council, a Branch Chief for the United States Environmental Protection Agency, as well as Senior Staff on the U.S. Senate Committee on Environment and Public Works. He is currently the president of Ron Outen Associates, LLC, specializing in litigation science support and environmental science consulting in the areas of air quality, water quality, wetlands protection, and chemical management law. 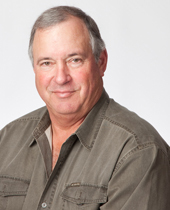 Dr. Outen holds a Master’s in Ecology from the University of North Carolina at Chapel Hill, and a Master’s and Doctorate in Environmental Sciences from the University of Texas at Dallas. V.W. Brinkerhoff grew up in San Antonio but spent his professional career living in various locations across the eastern United States before retiring in Texas in March 2008. A graduate of Tulane University, he has worked in the paper, life sciences, and medical devices industries, primarily in operations and business leadership roles. Over the course of his career, he has been active in many public and private organizations, serving both in Board of Director and leadership roles in Chambers of Commerce, United Way, country clubs and other non-profit enterprises. His family has maintained homes in Key Allegro for over forty years and he and his wife Patti have purchased their home in Rockport in 1999, where they have lived full-time since 2008. Art Dohmann grew up on a ranch in Goliad County. 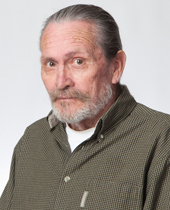 He spent over 40 years as a mechanical engineer at Alcoa. His work primarily dealt with plant development and modernization, construction, startup, and troubleshooting. 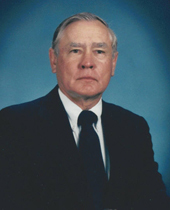 He was a member of the Texas Farm Bureau Natural Resources Committee. Currently, Mr. Dohmann is the Director and President of the Goliad County Groundwater Conservation District and an active member of the San Antonio Bay Partnership. James Fox was born and raised in Rockport, Texas. He has spent the majority of his life on the waters around the Texas Coastal Bend, and has been a full-time fishing and hunting guide in Rockport since 1968. His experience hunting and fishing has covered the entire Gulf Coast as well as the east coast of Florida, the Florida Keys, both coasts of Mexico, and the Bahamas. Mr. Fox was a past Chairman of the Rockport-Fulton Ducks Unlimited Chapter and a founding member and past President of the Aransas Bay Chapter of Coastal Conservation Association. He also served six years on the Redfish Bay State Scientific Research Area Advisory Committee and served on the site selection committee for the Mission-Aransas National Estuarine Research Reserve. Jane Guinn has lived in South Texas for 37 years. She first became involved with securing the longevity of South Texas’ natural resources at 19 when she accepted the position of Secretary/Treasurer of Save Our Seas. The mission of SOS was to educate both the public and Texas legislators about the growing pressure on trout and redfish by commercial nets in spawning areas and artificial bait on trout lines. Save our Seas succeeded in getting legislation passed that eliminated the practice in Texas bays. Since then, Ms. Guinn has been self-employed as a marketing & management consultant. Highlights have included the restructuring of South Texas’ PBS/NPR stations as President & General Manager, inventor of a trademarked children’s product line based upon stewardship, Managing Director of the Longevity and Wellness Center of South Texas, and Partner in Liaison & Partners, LLC. Al Johnson is the owner of Al Johnson Builder, LLC. He owns, manages, develops, and maintains commercial property and is the general contractor in residential and commercial building projects. 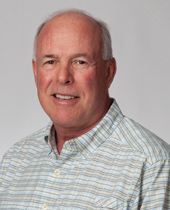 Al currently serves on the Board of Directors of the ACMSI and the Margaret Sue Rust Foundation. He is also a partner with the Nature Conservancy on whooping crane issues. He earned his B.B.A. from Southwest Texas State University in Business Management. Mr. Johnson was born and raised in Rockport and continues to live there today with his wife Diane and their two daughters. 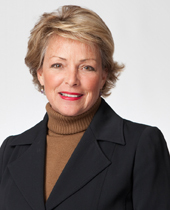 Patricia Moore graduated with a BBA from Southern Methodist University. She was an English teacher in Dallas, and managed vocational office administration classes in the Houston Independent School District. She has served as a human resources manager and accounting and administration director. 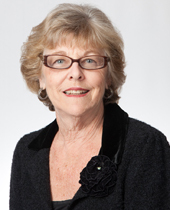 She is a past President of the Rockport Center for the Arts, and currently sits on the Odyssey Board of Directors. Betty Stiles is a retired professional photographer and artist. 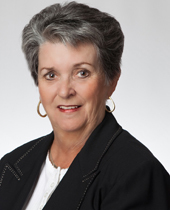 After retiring in 2003, she has become involved in many different local community organizations, including the Texas Republican County Chairs Association, the Aransas County Republican Party, the Lamar Woman’s Club, the Friends of Goose Island State Park and the Lamar Community Service Organization. As a professional photographer, Ms. Stiles is a life member of the Texas Professional Photographer’s Association and the Houston Photographers’ Guild. She bought her home in Lamar in 1981 after falling in love with the water, birds, and beauty of Lamar and Rockport. Ms. Stiles has been involved with The Aransas Project from its inception and is deeply committed to the whooping cranes and their environment as well as water quality in the local estuaries.